Surrey Trees & Gardens Ltd - Driveways/Patios/Paths, Fencing/Gates, Tree Surgeon based in Carshalton, Surrey. 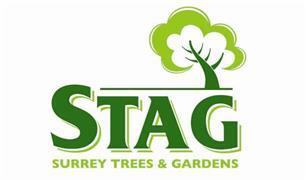 Surrey Trees And Gardens are a well established local Tree Surgery and hard and soft landscaping company, with a large and loyal local customer base. We provide services including, Tree felling, Tree Pruning, Hedge trimming, Stump removal. We also supply and install Driveways and Patios, Fencing and Decking, Brick Walls, Ground Works and Paving. We also provide a full range of garden upgrade and garden maintenance services, including grass cutting, weeding, new lawns, water features etc. Fully qualified and insured, experienced friendly staff, and highly competitive prices.